Happy Wednesday! We don’t know about you, but the first half of the week always seems to go slow, then once Wednesday arrives, it feels like it’s practically the weekend already! So with that in mind, we’ve got to thinking about our weekend makeup. From lunch with the boyfriend’s parents to glamorous nights out, the SAX team has a variety of social events to go to. So what beauty product can make all the difference to your look when going from day to night? Mascara! And now read her review! 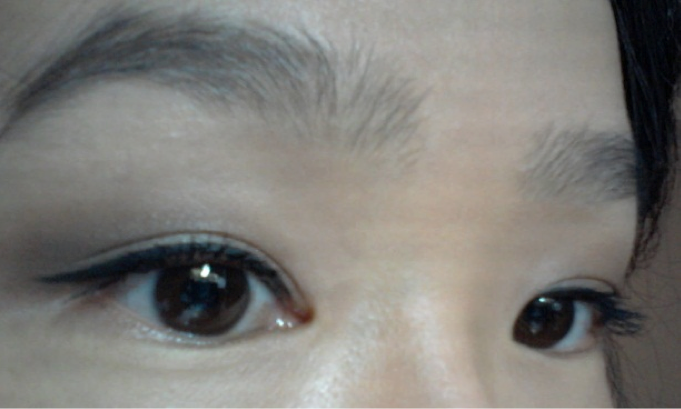 My natural lashes are almost invisible – yep, my camera doesn’t lie. They’re short, thin, spindly and straight. In fact, you would probably need a magnifier to see them in their glory. Unfortunately, the world isn’t so kind to carry around magnifying glasses in their pockets for the sake of seeing Jenny’s non-existent eyelashes. So when I was sent SAX’s All Day & All Night Mascara I was ecstatic. Jenny’s eyelashes with the ‘Natural’ mascara. Firstly, I love the packaging. It’s simple yet interesting. The All Day & All Night Mascara boasts two looks – ‘Volume’ and ‘Natural’ and that’s achieved by a double cap on the mascara. The large, bristly mascara wand makes it super easy to catch the root of the lashes as you apply. Its domed tip is brilliant for small inner/outer corner lashes and also bottom lashes – helping to achieve that wide-eyed look. I preferred to use the ‘Volume’ variant, because, as you can tell, I need all the help I can get! My lashes were transformed from invisible to thickened, voluminous, fluttery – I absolutely adored the results. The mascara is long wearing – with minimal smearing, smudging or flaking and the colour stays a true, intense black. 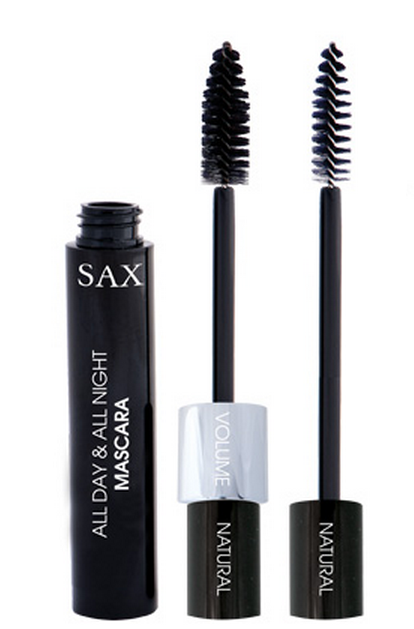 SAX’s All Day & All Night Mascara delivers, whether you want a minimal day look or a sultry, dramatic lash effect. And you only need the one tube. You can thank me later when you regularly get mistaken for Betty Boop! Jenny’s eyelashes with no mascara. 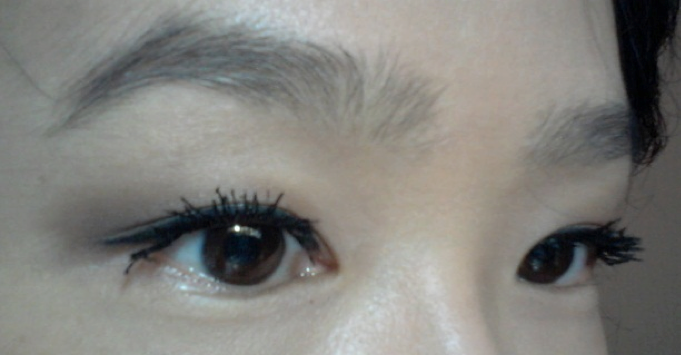 Jenny’s eyelashes with the ‘Volume’ mascara. This entry was posted in Beauty Reviews. Bookmark the permalink.